Sunday morning dawns, time to get out and about. My daily walk is now 45 minutes every day, I am still managing to balance my eating, the coffee intake is as low as my sanity will allow and there is a sighting of a waist!!!!!! It would seem that these small changes are working and I am managing to maintain them. I am still looking for work so keeping myself to my daily timetable during the week is key. It helps to keep that work frame of mind and focus on what I need to do. Part of today was a Cardio session at the Gym and that includes my ten minute rowing challenge. 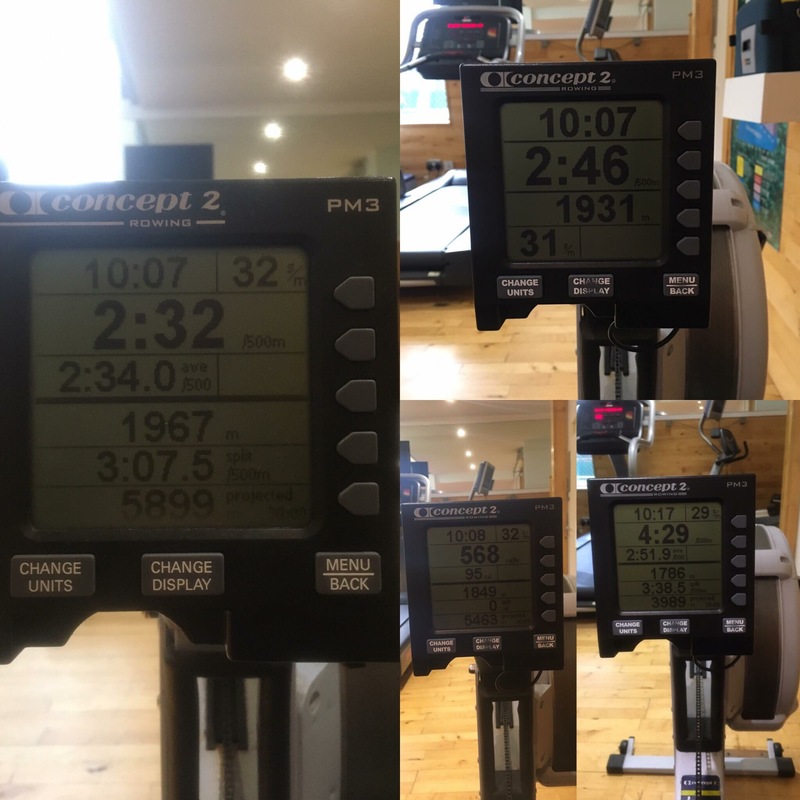 The idea is to row as far as I can in ten minutes, as GymGuyMark says it is more productive to row to a target as it is a good guide to how you are improving. As you can see I am getting there slowly, but this part is a tough plateau to get passed. Focus helps! Challenge helps and encouragement from others definitely helps !